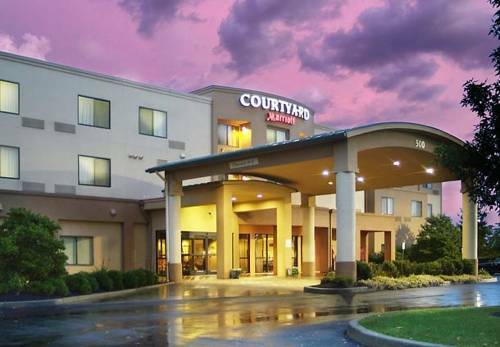 Courtyard by Marriott Kingston, NY hotel, located in the heart of the beautiful Catskill Mountains, is your destination hotel in the Kingston, NY area. Our newly renovated lobby, featuring The Bistro* with Starbucks, and our spacious guest rooms make us the smart choice in Hudson Valley Hotels. Just minutes from the New York State thruway (I-87) plus many exciting destinations and events. Experience Rip Van Winkle River Cruises, Woodstock, HITS-ON-THE-HUDSON, Rhinebeck, Omega Institute, or the Dutchess County Fairgrounds. Enjoy outdoor activities including Hiking, Tubing, or skiing, snow tubing and snowboarding at Hunter Mountain, Belleayre Ski Center or Windham Ski Resorts.Looking for adventure in Historic New York? Kingston, NY is the first capital of New York, the area is filled with history and pride. Explore the stockade district or the Historic Rondout Waterfront and lighthouse. Business or leisure, our Courtyard Kingston Hotel, will help you to relax while watching a sunset on The Catskills. Our Bistro is open for Breakfast and Dinner.